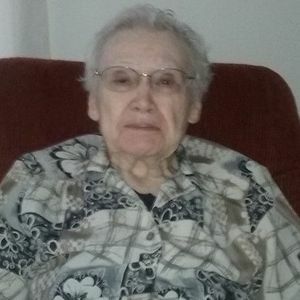 Mrs. Lillian Marie Burns Kale, age 95 of Shelby, passed away Tuesday, February 5, 2019 at her residence. She is survived by her children, Gary Kale and wife Nancy of Baldwin, MO, and Tommy Kale and wife Tammie of Shelby, NC, four grandchildren, Travis Kale and wife Karla, Tyler Kale, Melissa Kale, and Pam Vogelgesang and husband Vince, and four great grandchildren, Amber, Abby, Ryan, and Emmalyn. Mrs. Kale was born on September 5, 1925 in Catawba County, NC, to the late Ervin Alonzo Burns and Annie Brown Burns and was preceded in death by her husband, Roy Harrill Kale, and a sister, Madeline Sane. Lillian enjoyed reading, working puzzles, and spending time with her family and friends. She always brought a smile to your face and will be truly missed by those that knew her. Add your thoughts, prayers or a condolence to Lillian Marie's guestbook. Please enhance this tribute to Lillian by adding your memories and photos.